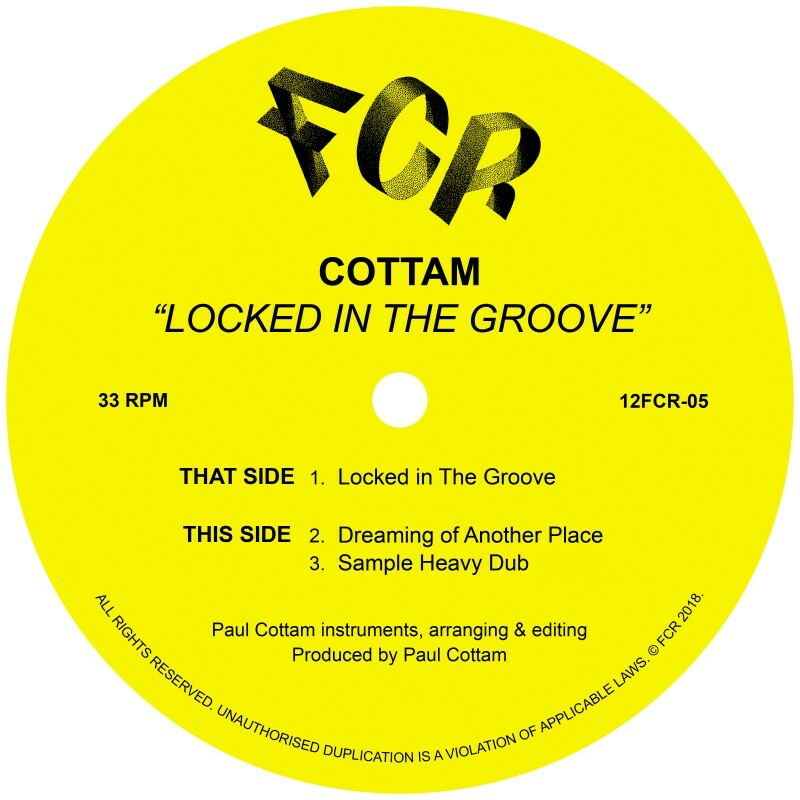 Cottam shot to notoriety in 2009 with three limited edition 12"s that blew up the underground deep house and nu-disco scenes with no advertising and no info - combining neo-soul, afrobeat and hip hop with slo-mo house grooves all three sold out in double quick time and ended up in many 'best of 2009' charts. Since then, Cottam has concentrated on developing his own style of sub-aquatic acid house - remixes for Luv Jam on Phonica's label, Pattern Select on Delusions of Grandeur and Morning Factory on 20:20 Vision offshoot Fina have complemented original tracks on Quintessentials, Wolf Music, German undercover label Story and the summer anthem 'Sunrise Sunset'. The journey continues with his most accomplished tracks yet on the Deep Deep Down EP for Aus Music and a remix for Geoff Leopard on Endless Flight. 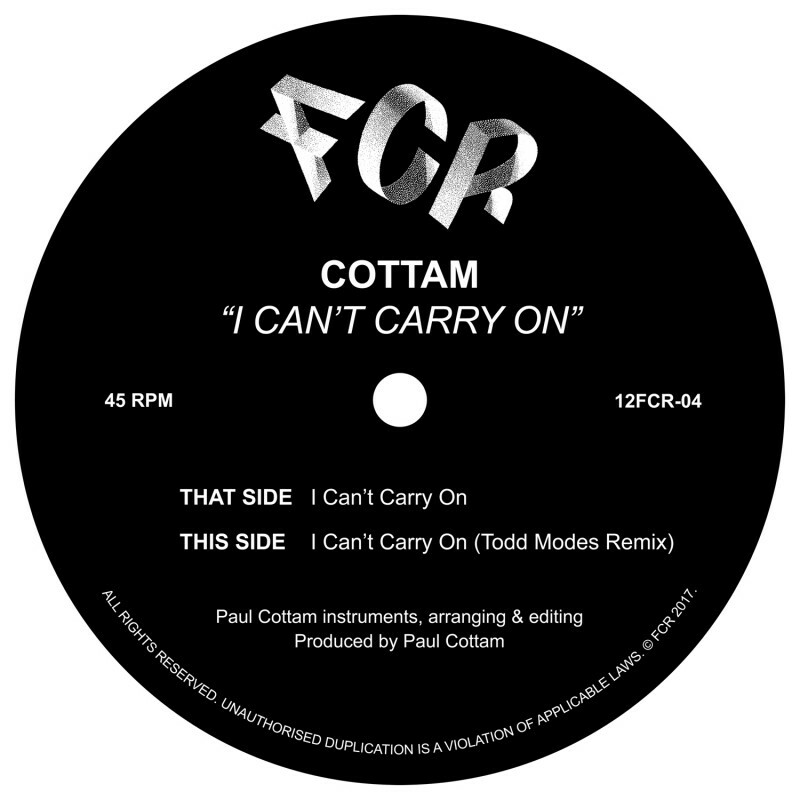 Cottam provides the first release for FCR with 'I Can't Carry On', a proper Chi-style-deep-house-classic-in-the-making, whose layers subtly build over 12 immersive minutes. With a raw driving bassline, deep strings and killer underground vocal sample, it stands up easily against early Ron Trent and Lil Louis favourites.